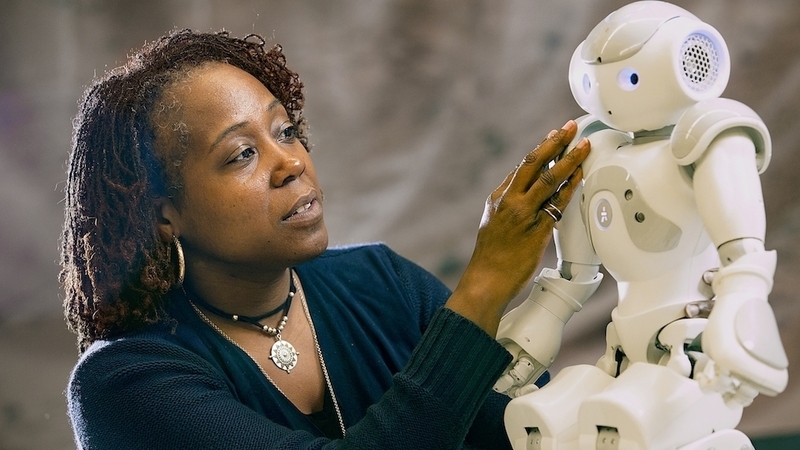 Being Different Helped A NASA Roboticist Achieve Her Dream Ayanna Howard was 27 when she headed her first team at NASA. She talks about feeling like an outsider, and discovering that diversity drives innovation. When Ayanna Howard was a little girl, her favorite TV show was the Bionic Woman. Growing up, Howard was obsessed with creating robots. She earned her Ph.D. in Electrical Engineering and by the time she was 27 she landed her dream job at NASA's Jet Propulsion Laboratory (JPL). Howard leads a small team of engineers and scientists tasked with advancing the intelligence of robots for future Mars missions. In this video, Howard describes an experience early on in her career at JPL and how courage is a necessary part of the invention process. She says, "It takes insane courage to innovate. Courage to open yourself up for criticism. To be in a place where no one has the same diverse experience as you – and be confident that your difference is what makes your ability to innovate unique." Ayanna Howard is currently at the Georgia Institute of Technology, where she serves as Professor and Linda J. and Mark C. Smith Endowed Chair. Her work encompasses advancements in artificial intelligence (AI), assistive technologies, and robotics. For more videos about invention, check out the rest of the Joe's Big Idea Animated Invention Stories.